We offer 2 hour free parking with validation. 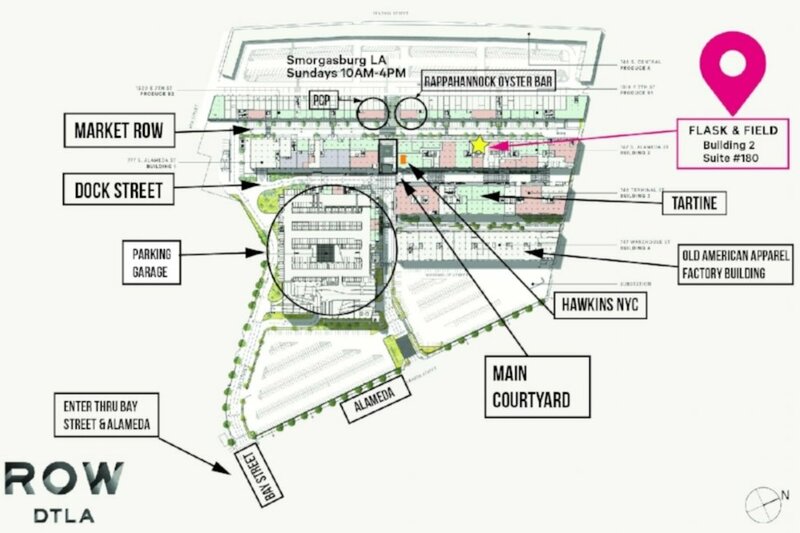 From the parking garage, walk northwest through the main courtyard and take a right on Market Row (see ROW DTLA map below). We are a small business that spends most of our time in the field. We will do our best to get back to you within 3 business days. Thank you for your patience!